Walk through tour of True Hearts Fortune Fair at the Shop!!!! at Des Moines New Age Shop & Community Center !!! 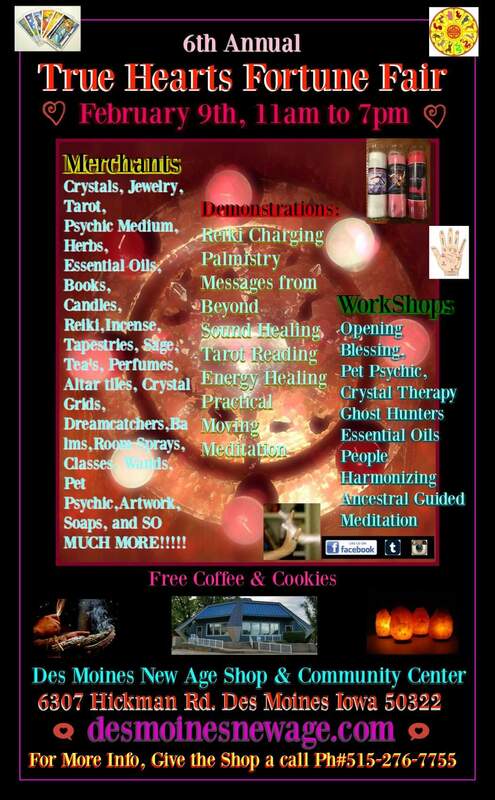 Previous PostPrevious 6th ANNUAL TRUE HEARTS FORTUNE FAIR at the Shop Tomorrow(Saturday Feb. 9th)!!!!! Next PostNext Restocked on Healing oil perfumes & colognes at the Shop! !